There is no doubt about the fact that I am now a runner suffering from a marathon training injury. This injury is my first experience with health issues that have kept me from running, and I’m finding it challenging. I am planning a more in-depth post about how I am approaching the injury challenges for later in the week. But here is the ordinary walkthrough of the training I did put in last week, despite the injury. 8 km recovery run in the morning. I experienced no adverse reactions after running for an hour on the treadmill last Sunday. The knee felt fine in the hours afterwards, so I decided to venture back outside for another test on Monday. Unfortunately, running on the snow and ice again proved too much, and the pain in the knee flared back up. I booked my first session with a physiotherapist specialised in athletic injuries Monday afternoon. Her first available session was on Wednesday, so I decided to take Tuesday off, and see what she said. The verdict was as simple as it was frustrating to hear. 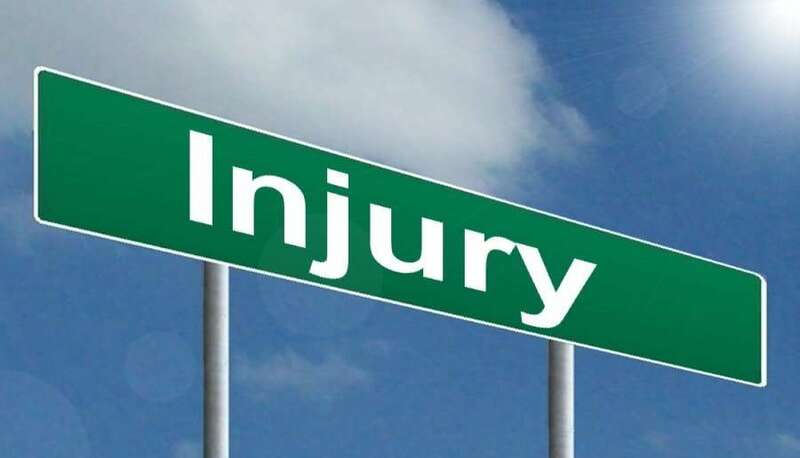 The injury is a result of a sustained load over time that eventually became too much. In other words, an overload irritation in the knee. Thankfully, there were no signs of swelling or more severe damage, which is good. The physio also identified a strength imbalance between my left and right leg. As it turns out, despite being right side dominant, my left leg is significantly stronger than my right. There is data to back up this assumption, as my Garmin consistently shows a higher percentage of ground contact time for my right foot compared to my left. Usually, 51%-53% of my ground contact time is with my right foot. This imbalance most likely explains why every single niggle I’ve experienced as a runner has been in the right leg. What is the way back from an injury like this? Work strategically on addressing the deficiencies that caused the trouble in the first place, while managing the load. First, I need to get the irritation under control, and then I can start to think about adding back running mileage. Not a road any runner want to find themselves on! Photo by Nick Youngson. Seventy-five minutes uphill walk on the treadmill in the morning. I set the incline to 10% and the pace to 6.5 kph (4 mph) for a total of 8 kilometres of walking. Incline walking on the treadmill seems not to irritate the knee, so I intend to keep it as part of my cross-training regime. It is a decent substitute for easy running. In the evening I did 30 minutes of body strength training. The main focus was the exercises my physio showed me, focusing on strengthening my stride. Four times four minutes VO2Max uphill session on the treadmill. Twenty minutes warm up, and fifteen minutes cool down on the elliptical. I felt surprisingly well in the knee after the physio stuck a few needles in my glute to relieve the tension, so I decided to opt for some quality on the treadmill. My original plan was to make this a moderately short threshold session. Because I am new to uphill running, I misjudged the intensity when I set the incline to 7% and pace to 12.8 kph (8 mph). As a result, I ended up readjusting the workout on the fly. I felt good throughout, and it was great to blow out some dust and cobwebs after close to two weeks of low-intensity training. I started the day with an hour of cross country skiing in the morning. After feeling like I was on the mend for a couple of days, I got another kick in the teeth here. Or, more precise, a kick in the knee. XC skiing is typically quite gentle on the joints, but I felt my knee throughout the session. Afterwards, it was apparent that I had aggravated the irritation as it flamed up again. Seventy-five minutes on the elliptical, with sixty minutes of progressively increased intensity and fifteen minutes cool down — not much to say about this one. I’m just doing what I can to minimise the loss of fitness until I can back to running. I rounded off the week with thirty minutes of body strength exercises. My hope going into this week was to get back to running, if at a reduced volume. Instead, I found myself lowering the already sparse amount from last week further, doing almost no running at all. I won’t lie, this has been quite challenging for me to handle. To say that I have been woefully underprepared mentally to deal with an injury is putting it mildly. But it is the name of the game, and all I can do is keep the long view front and centre, and remind myself of why I am doing this. Thanks Harold, I do appreciate it. That is a timely reminder, because I am sitting here contemplating just saying to heck with it, and give upping mileage again a go. How badly can it end, anyways? Going back in to see the physio again tomorrow. Hopefully she will offer up a better plan!